For decades, nuclear weapons and nuclear power generation have generally been treated as separate issues. But is this the right approach? Japan is the only nation to have experienced nuclear devastation with the atomic bombings of Hiroshima and Nagasaki 68 years ago. It has also suffered a nuclear disaster that caused tremendous damage in Fukushima Prefecture. We can no longer afford to put off confronting the unimaginably frightful risk posed by nuclear power. In an attempt to focus global attention on the inhumane nature of nuclear weapons in the campaign for a complete ban on nuclear arsenals, a document called the “joint statement on the humanitarian impact of nuclear weapons” was submitted in April to the Second Session of the Preparatory Committee for the 2015 Review Conference of NPT parties held in Geneva. The statement signals an emerging trend toward going back to the basics in international negotiations for nuclear disarmament. In recent years, a strong argument for a ban on nuclear arms made by many international nongovernmental organizations has been winning the support of a growing number of governments and gaining currency in the diplomatic arena. Those NGOs note that while there are treaties outlawing such inhumane weapons as chemical and biological weapons, as well as cluster bombs and antipersonnel land mines, there is no international agreement to ban nuclear arms. They rightly say this is nonsensical. The joint statement, endorsed by 80 countries, points out the “unacceptable harm caused by the immense, uncontrollable destructive capability and indiscriminate nature” of nuclear weapons. In an interview with The Asahi Shimbun, former U.S. Secretary of State Colin Powell called nuclear arms “such horrible weapons” and said they are “basically useless” in the military sense. Powell has joined the growing ranks of former top security policy officials of nuclear powers who have started calling for the elimination of nuclear stockpiles. Although the nuclear powers didn’t endorse the joint statement, it is clear that nuclear weapons are becoming increasingly “unusable” as weapons. The joint statement also says use of a nuclear weapon would destroy the environment beyond national borders and rob future generations of their health, food, water and other vital resources. Scientists have long warned that a full-scale nuclear war between the United States and Russia would trigger a “nuclear winter” that could severely affect the climate for months, or even years. A recent study by Alan Robock, an environmental scientist at Rutgers University, and others showed that a regional nuclear war in which India and Pakistan each uses 50 Hiroshima-size nuclear weapons, or half of their nuclear arsenals, could cause global “nuclear famine.” While these weapons account for only 0.03 percent of total destructive capability of the global nuclear arsenal, the study said that detonating them would cause massive pillars of black smoke and dust to rise high into the atmosphere, resulting in sharp declines in temperature around the world and serious depletion of the ozone layer. That would lead to a significant increase in harmful ultraviolet rays hitting the planet’s surface. The effects would be long-lasting, eventually triggering a devastating global famine. In short, we are still on the brink of wholesale destruction through nuclear warfare. Nuclear power generation inevitably entails some risk; for example, through abuse of the technology to produce nuclear arms, or nuclear proliferation. Six decades ago, U.S. President Dwight D. Eisenhower delivered a speech titled “Atoms for Peace” to the U.N. General Assembly in New York. His speech ushered in the era that brought about widespread use of atomic energy to produce electricity. Eisenhower proposed international control over nuclear materials and technologies as a step to promote peaceful use of atomic energy instead of military use. After his speech, the International Atomic Energy Agency and the Nuclear Non-Proliferation Treaty were born. But the international management of nuclear materials and technologies as proposed by Eisenhower failed to become reality and consequently nuclear proliferation became a serious challenge for the world. In addition to the original members of the Nuclear Club–the United States, Russia, Britain, France and China–India, Pakistan and North Korea have carried out nuclear tests. Israel is also believed to possess nuclear arms. Iran has been pursuing what is widely suspected to be a program to develop nuclear arms. 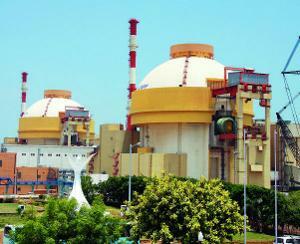 It is expected that nuclear power generation will spread rapidly among developing countries in coming years. But nuclear power generation programs could be used by some countries as a cover for obtaining highly enriched uranium or plutonium to be used for producing nuclear arms. The question is how to deal with the risk of nuclear proliferation through nuclear power generation. At the NPT preparatory committee meeting in Geneva, Austria said it has “renounced the use of nuclear power in its national energy mix” out of concerns about nuclear accidents, terrorism and proliferation. The country’s policy of refraining from the use of atomic energy altogether to avoid the risk of nuclear destruction is worth serious attention. The Japanese government didn’t endorse the joint statement because of concerns that embracing the document could affect the nuclear deterrence that the United States provides to Japan. But Tokyo indicated it might support the statement in the future. In addition to simply acknowledging the inhumane nature of nuclear arms, however, Japan should make more serious efforts to change its nuclear energy policy, which runs counter to the global campaign to reduce nuclear risks. The Abe administration has made a great fuss about promoting exports of Japanese nuclear technology. But this policy carries inherent risk. It could spread the risk of not only nuclear proliferation but also radiation exposure and nuclear pollution. In addition, there is the problem of radioactive waste disposal. If Japan concludes a nuclear energy cooperation agreement with India, which has turned its back on the NPT, the deal could further undermine the effectiveness of the NPT. Tokyo clearly does not fully grasp the growing international concern about Japan’s excessive stockpile of plutonium. The Abe administration says it intends to continue the controversial program to extract plutonium from spent nuclear fuel without offering any clear plan to reduce the country’s stockpile of plutonium. The government should discard the senseless policy as soon as possible. What the world expects from Japan probably is to provide effective leadership for necessary reform of the deeply flawed nuclear nonproliferation regime, which tends to amplify, rather than reduce, the risk. Radically new thinking is vital for making sure that the spirit of the joint statement will be widely embraced internationally. Hisashi Inoue (1934-2010), the late Japanese novelist and dramatist who wrote a play about the atomic bombing of Hiroshima titled “The Face of Jizo” (“Chichi to Kuraseba”), used to read many letters and notes written by “hibakusha,” or A-bomb survivors. “Belatedly, I would like to be a hibakusha at heart,” he once said. It is crucial for Japanese to learn more about the nuclear devastation of Hiroshima and Nagasaki and get a better picture of the plight of people who have been affected by the Fukushima nuclear disaster. Japanese people should become “hibakusha at heart” by sharing anxiety and fear about health hazards posed by exposure to radiation from atomic bombs and nuclear plants. We should send clear messages about the contradictions between mankind and atomic energy to audiences both at home and abroad. We are now at the crossroads of whether we can move the world toward a nuclear-free era or not.